Amidst rumors that they are romantically involved again, Rihanna and Drake have been spotted spending a little time together in Paris. He's there on tour and she's there...I guess for Fashion Week maybe? Fans and media have been reporting all weekend that she was spotted at his hotel and out to dinner with him and Pharrell a few nights ago. Finally, the two are out of the dark.. at least on stage. 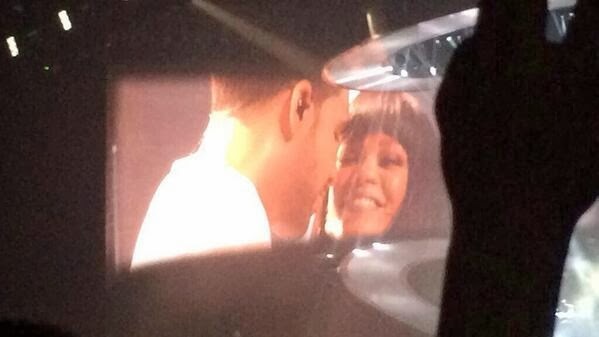 Rihanna joined Drake at his show tonight to perform their hit Take Care, and she even performed Pour It Up. These two look like they have a ball together. 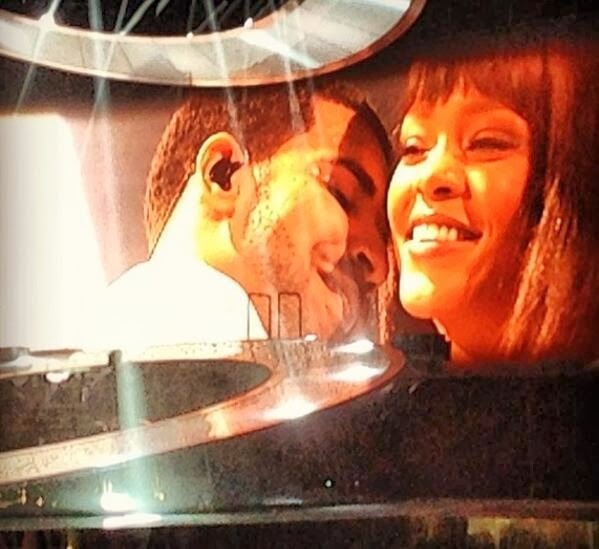 Rihanna cheesed as Drake serenaded her with Take Care. 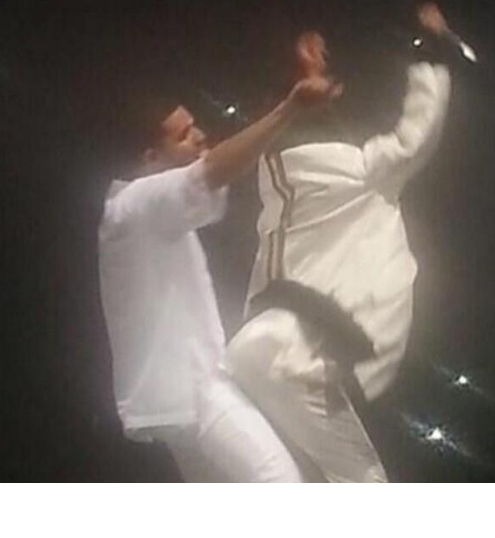 Then she ripped into her hit Pour It Up as he surrendered his stage to her.